Ever heard of digital hoarding? Digital hoarding is where you download or digitize lots of data and just keep it on your hard drive until you run out of space. It is the modern equivalent of never throwing anything out at home, but on your computer. I must admit to having been guilty of it for a while. Until we began performing so many data recovery jobs anyway. While it is your computer to do with as you will, it does make data recovery harder to do. The more data there is on a drive the more work is involved in recovering it. Our recovery systems do not know what data they recover so it isn’t as if we can tune it to just get the important stuff either. Files and folders are just bits and bytes to a recovery system. The more we have to recover, the longer it takes, the higher the risk of data loss and the more expensive it can be. So a little digital housekeeping can save you more than just time wasted trying to find stuff on your hard drive. 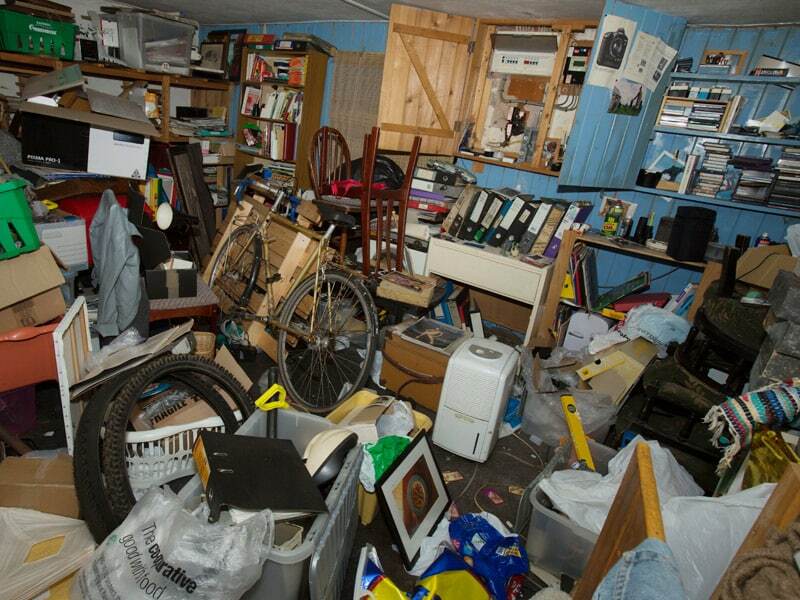 Here are five ways to get out of the hoarding habit. There is a real temptation to download programs, files, music, movies and all sorts of media from the internet, but you really don’t have to. You know the saying ‘nothing is ever deleted from the internet’ right? Usually we tell our kids that to make them aware of what they post and where. The same is true for media. Most websites will remain online for a while, so you may be tempted to download everything you can find, but you really don’t have to. If the site itself disappears, just go to the Wayback Machine. It has pretty much every website that has ever been on the site, many pages are complete with attachments. If the Wayback Machine doesn’t have the attachments, lots of other websites will. Whether it’s movies, TV shows, music or whatever, there are places online that offer access to all media types. Some will even be legal! Download movies, TV shows and music is so last century. All the cool kids are streaming their media now. As there has been a shift towards mobile internet on devices with much less storage than a PC, there has been a corresponding shift towards streaming media instead of downloading. Netflix, Hulu, YouTube, iTunes, Pandora and others all offer access to a massive selection of media streamed to your device. They also offer the added advantage of allowing access to multiple devices on the same account so you can consume media anywhere at any time. Many of our data recovery clients have gigabytes of movies and TV shows they don’t need and a couple hundred megabytes of important data they do. To get to that important stuff, we need to recover it all, which can take hours! Keeping an extra copy of a photo album is fine if they are mementoes of significant events or memories of things that will never happen again. Your collection of selfies will not be any of those. Consider sorting out your images into those you cannot ever lose and those that are disposable. Keep two copies of those you don’t want to lose, one on your hard drive and one in the cloud or on removable media. The rest should be regularly purged so you only keep the most important photos and memories. For data you genuinely cannot afford to lose, keep a copy on removable media and a separate copy in cloud storage. If you use Windows, OneDrive comes included within it. If you use Apple, iCloud comes as standard. If you use Linux, there are lots of third-party cloud storage services out there you can use. Saving a copy of important data in the cloud is a sure way to ensure it never gets lost. Should the worst happen and we cannot recover your data, you will have copies of everything available. In most circumstances, our data recovery team can recover data with around 95 percent accuracy. Sometimes that isn’t possible. For example if the drive is physically damaged, if data was corrupted or deleted by a virus or malware or you accidentally deleted and then overwrote it. In these circumstances, no amount of data recovery efforts will work. It is those things that you need to plan for if you use a computer for anything important. In an ideal computer setup you would have an SSD that contains your operating system and core applications and a second drive that contains your games, apps, media and everything else. That way, if one drive breaks down, it doesn’t affect the other drive. Using a standard or hybrid hard drive as a secondary device is a very economical way to speed up your computer. Your operating system benefits from the speed of an SSD while storing frequently used files on a normal HDD helps prolong its life. HDDs are still cheaper and cost much less than an SSD to buy too. 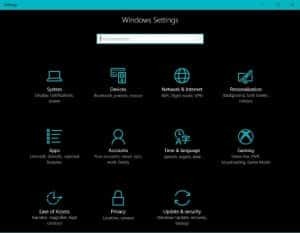 Don’t use the default Music, Videos, Pictures and Downloads folders that Windows installs. Instead, set up your own on your second drive. Set them up as your default file locations and then when it comes time to declutter, you only have four folders to check. You can download, delete and wipe a HDD as many times as you like whereas SSD still has a more finite lifespan. There is nothing wrong with being a digital hoarder. I used to be one. However, as mentioned at the top of the article, if you end up needing data recovery, it does make life harder than it needs to be. If you cannot handle minimalizing your storage, organize it logically to make life a little easier. If you do need data recovery at any time, visit Dave’s Computers in Hillsborough. We will be happy to help! 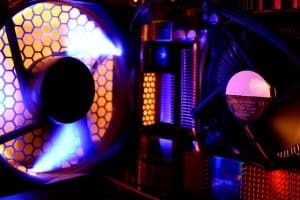 Previous Post: « Computer repair question of the week: How do I stop my computer overheating?